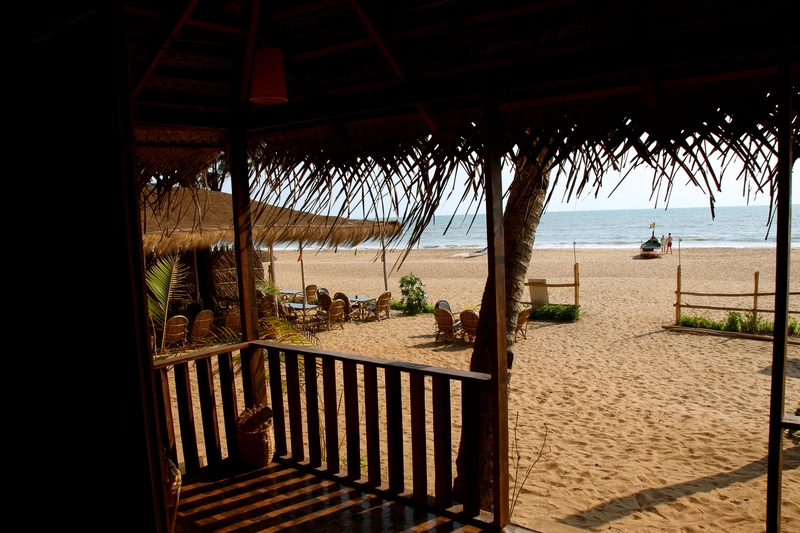 Even fairer than Verona… Goa! 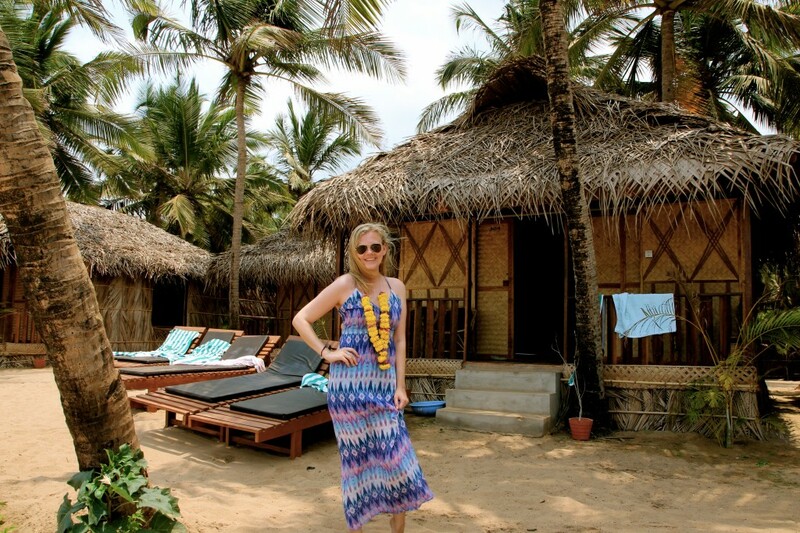 We traveled to Goa for the week of Easter, and what a trip it was! 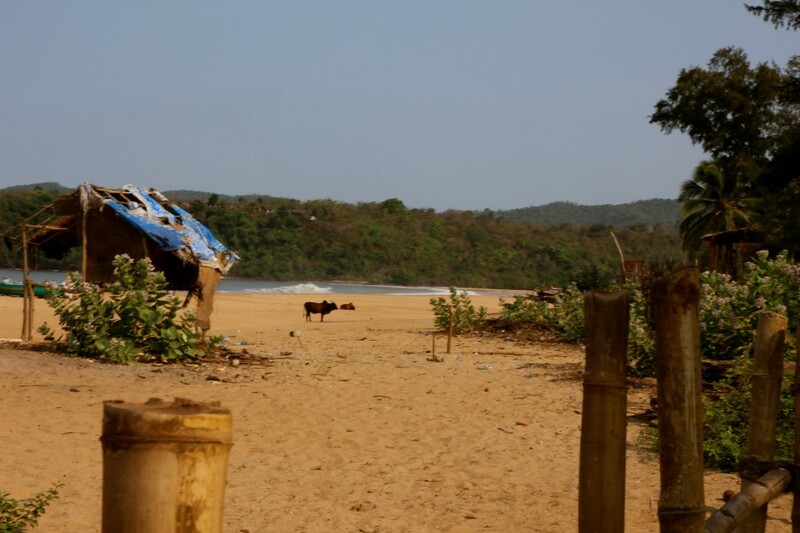 Previously, Andrea and I have traveled to northern Goa, more precisely Anjuna. We loved it back then, but this time, heading south to Agonda… Well, what can I say? It was probably one of the most beautiful beaches we have ever been to. And what more: We had a stretch of probably 5 km of white sandy beaches pretty much to ourselves, if you don’t count a few cows, some dogs and a batch of newly hatched sea turtles. We stayed at the Mariposa Beach Grove. 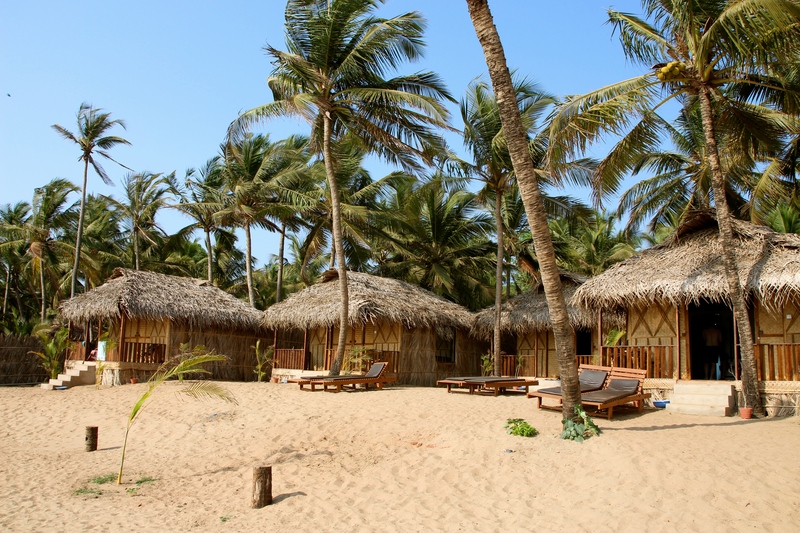 I haven’t tried any of the other hotels/beach huts in Agonda, but I find it hard to believe that any other could match this one. We stayed at rs. 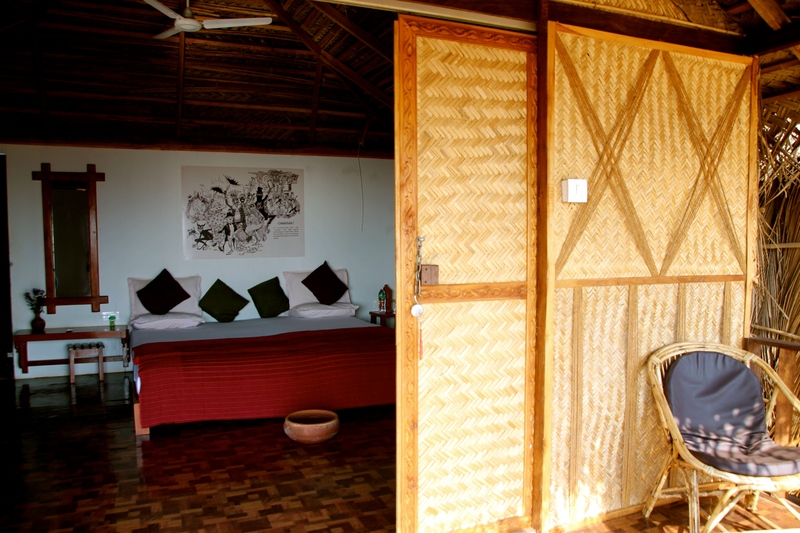 2250 (NOK 225) per person in rather luxurious beach huts with huge comfy beds and roofless bathrooms – for showers under the starry sky, or the searing sun, whichever is preferable. A view to the sea and bar area. 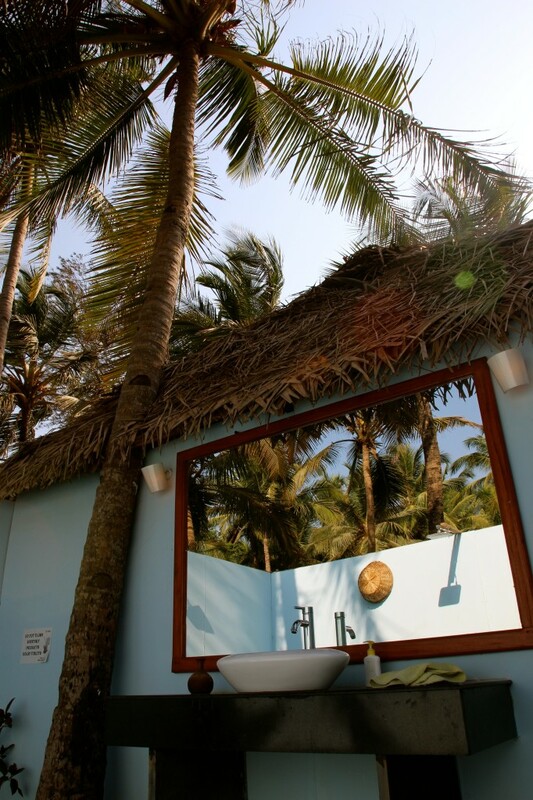 Bathroom under the open sky. Our toilet even housed a little frog – which the staff were nice enough to set free. Mariposa is as far from a resort as you could come. Basically you rent one of five huts next to the owners house. They do all their cooking at home and the bar and restaurant area is pretty much just an extension of their house. This gives a feeling that you are staying at someones home at the same time that you enjoy your own total privacy. The “homey” feeling is increased immensely by the sincere hospitality they show you. I wouldn’t call it service – it’s just plain friendliness. But they really do know how to keep their guests. 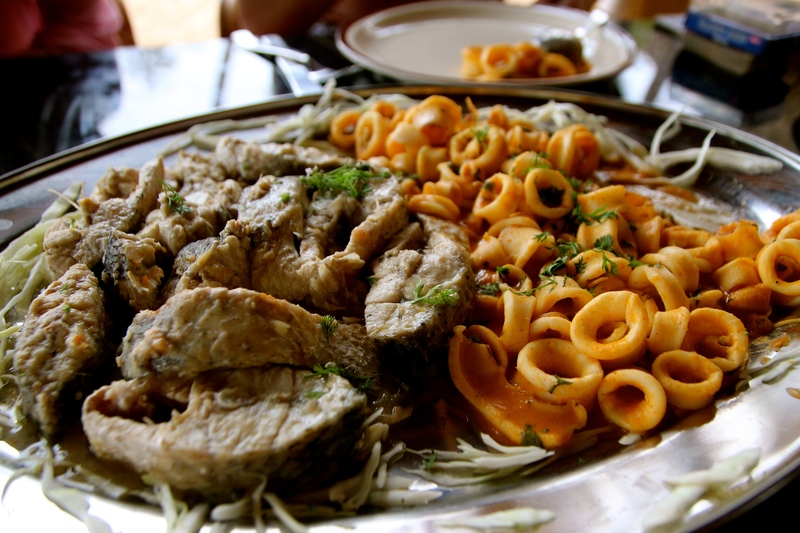 Lunch and dinner was dictated by our own wishes, as the owner asked everyday what we would like to eat, and based on our answers headed to the fishermans village next door to bring back a newly caught delicacy. Whether it was red or white snapper, calamares, king fish, prawns or lobster, they always made a delicious meal, which we ate with some beer, wine or champagne on the side (all from Sula, of course:-). 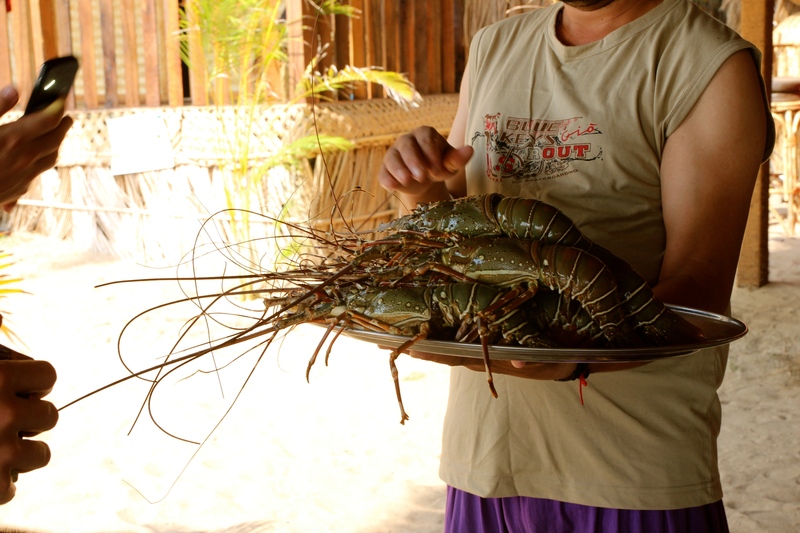 Some unfortunate freshly caught lobsters on their way to becoming a delicious meal. We generally floated the days away on our sunbeds, everyone but me getting a healthy tan (at least I didn’t get red either), or just out in the ocean body surfing the waves. One morning we even managed a bare feet biathlon along the beach, which I lost because I have eaten way to much Indian food since I came here! The evenings went by with too much good foods and drinks and a great deal of card playing – which pretty much is a description of what I consider a perfect vacation. That is not to say we did nothing on our five days. We had one day of boating where we went to some other beaches and had a bit of dolphin safari. 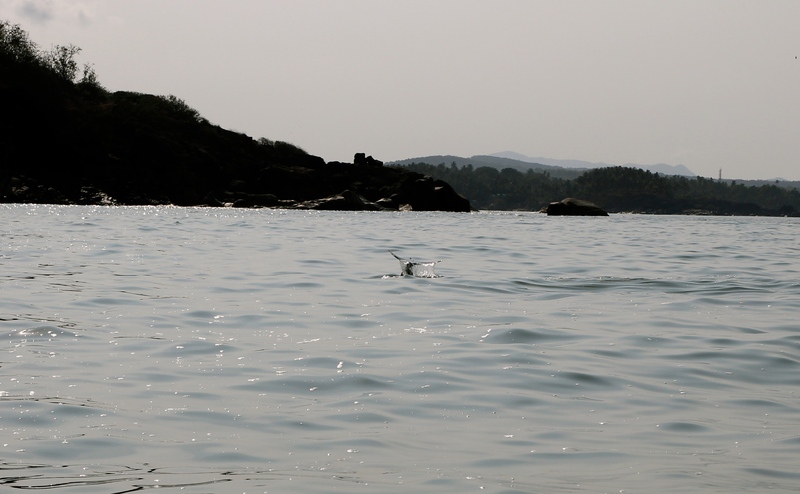 We managed to see lot’s of dolphins, even though they were a bit camera shy. The other beaches were really beautiful, but we felt really fortunate as we all came to the conclusion that we had settled on the best one. We enjoyed our week very much, although I had to spend a bit of time working from the sunbed. It wasn’t too bad – if you need to work, Agonda is probably one of the best places to do it! Andrea wasn’t complaining. And how could you, when you look like this. Copyright © 2019 Norway to India. All Rights Reserved.